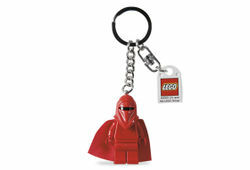 851683 Imperial Royal Guard Key Chain is a Star Wars Key Chain of a Imperial Royal Guard, released in 2006. This set is identical to 4297461 Imperial Royal Guard Key Chain. Facts about "851683 Imperial Royal Guard Key Chain"